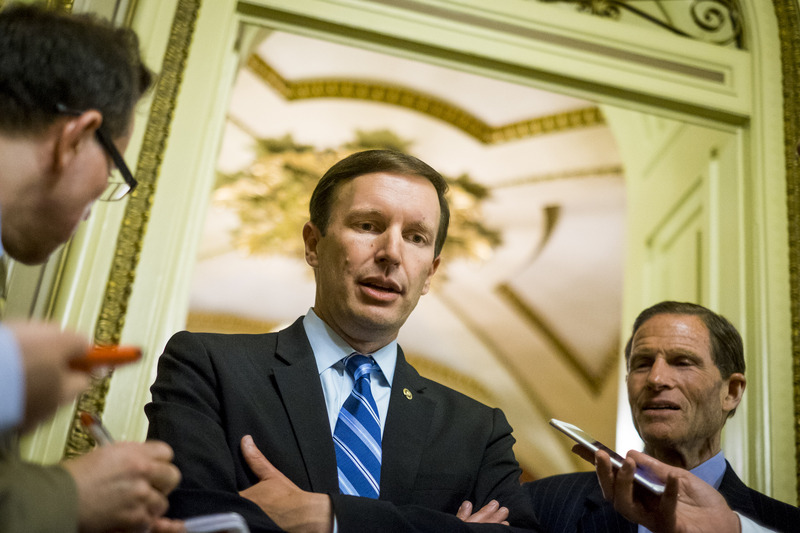 On Wednesday, without prior warning, Connecticut's Democratic senator Chris Murphy launched what turned out to be the most successful filibuster in a long time. He and a cadre of supporting Democratic senators, including Massachusetts' Elizabeth Warren, New York's Kirsten Gillibrand, and Missouri's Claire McCaskill, kept the filibuster going until just past 2 a.m. Thursday morning, for a total of nearly 15 hours. And the specific proposal they argued for says a lot about the Democratic Party's strategy right now ― it's basically how Democrats are finally beating the GOP on guns, even though it comes with a cost that could potentially give some progressives pause. Namely, they've finally found a way to hold the Republican Party's feet to the fire on guns, because Omar Mateen, the slain suspect in the Pulse nightclub shooting in Orlando earlier this week, was reportedly on a terror-related FBI watch list a few years ago. This basic fact gave Democrats a prime chance to raise the same proposal they did following the deadly San Bernardino attacks in December ― to ban people who're on terror watch lists from purchasing firearms. When they tried this in the aftermath of those attacks, the Republicans blocked it, a fact which has drawn a lot of scrutiny this week. The argument conservatives have been making against this is actually one that under different circumstances ― circumstances unrelated to gun control ― liberals and progressives would likely be sympathetic to, that just because somebody is placed on a government list doesn't mean they should lose a constitutional right without due process. And that fact really highlights the strange political web that the Democrats are now trying to weave. Consider this: The ACLU is coming out against the proposal. Basically, they're taking advantage of the fact that the GOP desperately wants to be viewed as the party of aggressive anti-terrorism and national defense. That's more or less the brand, or at least it has been over the last decade-and-a-half. As such, even as beholden to the interests of the National Rifle Association as the party's been for decades and decades, the demand that suspected terrorists be allowed to purchase guns is becoming too much for them to take, especially under the glaring spotlight of what happened in Orlando this week. In the past, the Republicans have been more than willing to buck the overwhelming desires of the public, even complete with a majority of their own voters. But now that their no-compromise position on guns is working in perceived service of suspected terrorists, some of the party's core post-9/11 rhetoric is getting shredded. It's not a sustainable or tenable situation. Thanks to Murphy's filibuster, they've effectively been forced to at least put the issue to a vote, which means every Republican senator is going to have to go on-record in a very public way if they want to defeat it. On the other hand, this could be presaging a sea change for the Democratic Party this summer. With Donald Trump at the helm of the GOP, with his non-existent credentials on international affairs and defense, up against a Democratic candidate in Hillary Clinton who remains far more hawkish than much of her own electorate, it's entirely possible that you're going to see the Democrats start pressing the GOP on terrorism and defense from an increasingly right-wing perspective. And considering the contentious primary the Democrats just witnessed, that's not a reality that all progressives are going to be thrilled about.